Lambs graze lush pasture following spring rains. 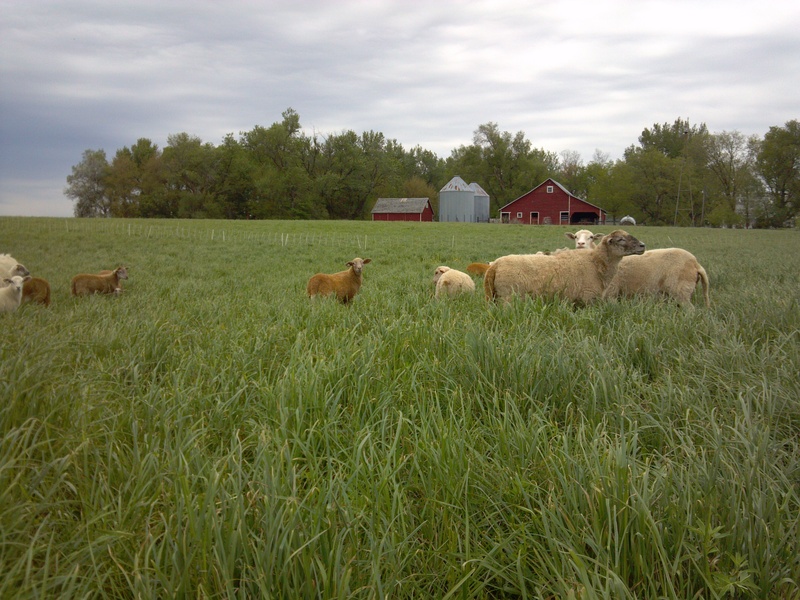 I am taking reservations for grassfed lamb for fall of 2013. You can reserve your lamb by completing the form at this link. When you complete the form, I will follow up to let you know where to send your $75 deposit to secure your lamb. Your deposit is a credit toward your final cost. Your actual cost will be $4.95 per pound hanging weight. A 100 pound lamb will have a hanging weight of about 40 pounds and a cut weight (meat in your freezer) of about 25 pounds. The total cost is around $200 for the lamb. You also pay the butcher directly $50 for processing. You will choose exactly how the lamb is cut, and can expect a mix of cuts such as roasts, steaks, stew meat and ground lamb. The lambs will go to the meat locker in Howells, Nebraska in November or December. Pickup will be in Howells, or delivery by mutual arrangement. This great-tasting lamb is pasture-raised and high in omega-3s. Lock in your lamb for fall delivery now – I sell out every year. You can reserve your lamb by completing the form at this link.